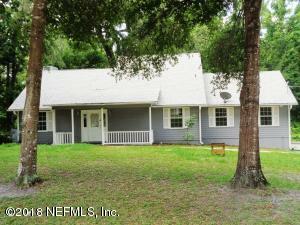 Lake Jeffords home located just 20 minutes from Gainesville, FL! The home's open design takes advantage of the lake views. Downstairs you'll find two bedrooms. The upstairs area is a private master bedroom with a walk-in closet, bath and an amazing balcony with a view of the lake. Lake Jeffords is a stable lake with lots of large fish. The boardwalk will take you to the lake and expansive dock. The kitchen appliances will convey. This lovely home is a successful Vacation Rental By Owner (VBRO). Listing Courtesy of: Nicosia Realty Inc.